© Steve Etherington for Mercedes-Benz Grand Prix Ltd. When Mercedes-AMG Petronas Motorsport cures carbon fiber components for its race cars, a lot of heat is produced. But cooling it made a lot of noise, which went against the team’s philosophy to have an optimal environment for employees. Fortunately, team supplier ebm-papst had an idea. Formula OneTM would be impossible without ultralight carbon fiber components. They can resist even high-speed head-on crashes and also enable a steady stream of new shapes for improving racing car aerodynamics. Chassis and other body work components for the cars are cured at high temperatures in a special pressurized container, an autoclave. The autoclave produces a lot of hot liquid which then goes to two blast coolers to be cooled by air before the curing cycle is complete. In Brackley, UK, where Mercedes-AMG Petronas Motorsport manufactures the race cars, six fans at the rear of the production facility were supporting this process. Chassis and other body work components for the cars are cured at high temperatures in a special pressurized container, an autoclave. The fans were driven by AC motors, which could only be turned on or off but not otherwise regulated. They used more energy than necessary, especially on cool days. But that was not the only problem. Operating noise from the fans was 96 decibels and therefore did not fit to the team’s philosophy of offering employees and optimal environment. So, a solution was needed. “Mercedes-AMG Petronas Motorsport told us about the problems,” says James Cooper, product manager at ebm-papst UK, “and we suggested new, more effective and quieter EC fans.” Since the idea sounded promising and a quick solution was needed, Mercedes-AMG Petronas awarded a contract to retrofit the facility. The installation itself called for detailed planning. Only one day was available for the retrofit; the amount of time the team was able to hand over the autoclave for the work. Cooper and his team had to do perfect advance planning to ensure that everything went smoothly on the day of the retrofit. 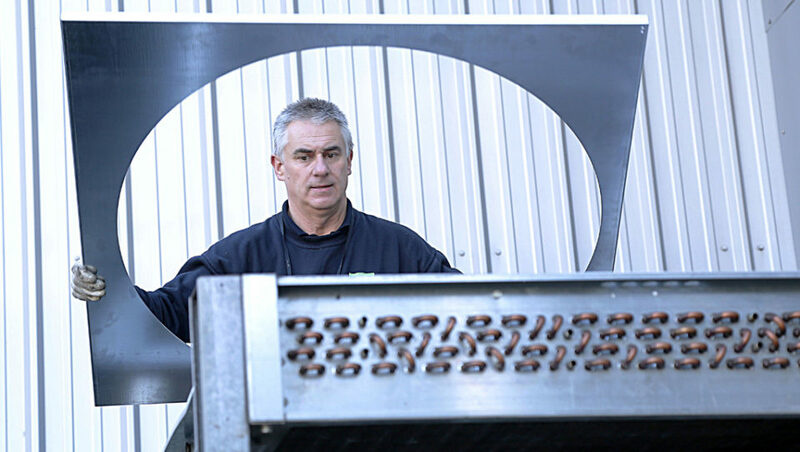 After visits at the site, it was clear that the technicians would need to work with a special bracket to adapt the ebm-papst fans to the surface of the blast cooler. 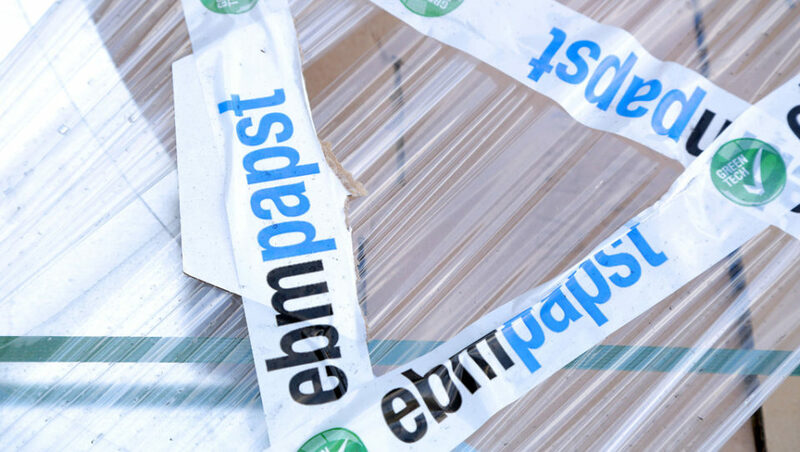 So ebm-papst produced the part in advance of the retrofit. In the end, the installation was completed in only a few hours. 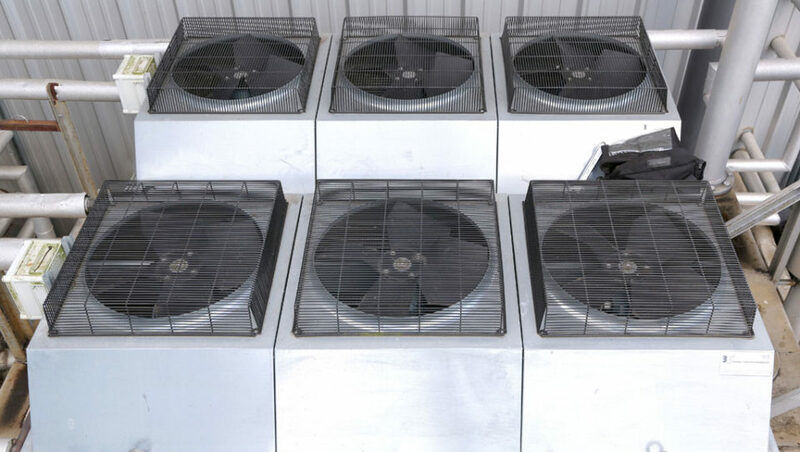 Four new EC fans from ebm-papst now provide the same cooling capacity as the six AC fans did. But since they are much more efficient and can also run at reduced speeds, they are also much quieter. “We reduced the noise level to 75 decibels on hot days and 67 decibels on cooler days,” reports Cooper. 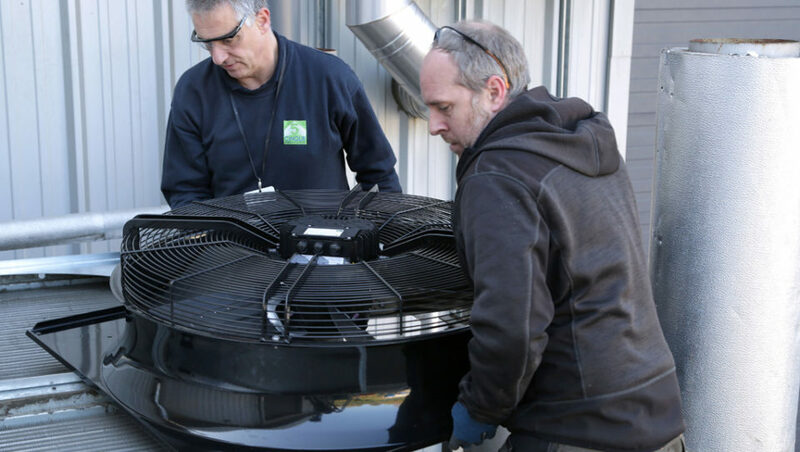 “This did not only please us, but of course also our team partner.” Since the speed of the new motors can be individually controlled, there is an additional benefit: On cool days, the entire system now consumes much less energy than on hot days. The successful upgrade is having an effect beyond its installation site. Mercedes-AMG Petronas Motorsport plans to install more autoclaves in a new building in Brackley this spring. 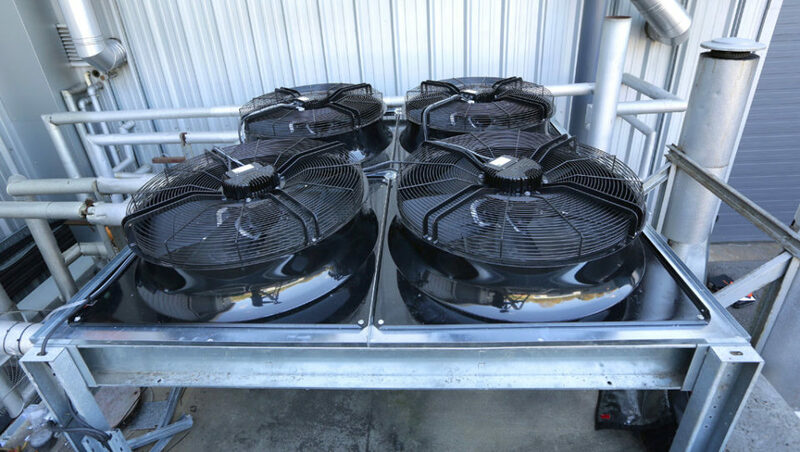 The team had originally planned to use AC fans again, but ebm-papst recommended installing energy-efficient EC fans from the start. After its good experiences, Mercedes-AMG Petronas Motorsport decided in favor of EC fans from ebm-papst again and plans to install them in Brackley in the spring of 2019.